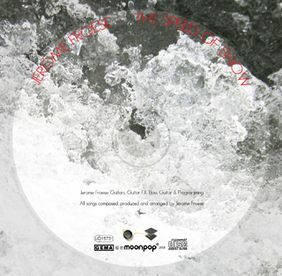 The Speed Of Snow was first released as a free download in December 2008 via Jerome Froese's online shop Cybersounds. It just contained one track of the same name then. The Cybersounds Shop about the download release: "A totally new song by Jerome Froese especially made for the cold season. This track is the first ever christmas tune by Jerome and its FREE for registered users!" Registration to the shop is free as well. 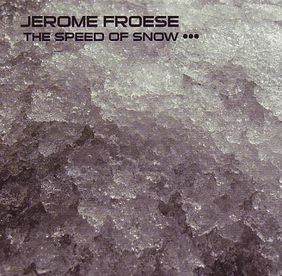 Jerome Froese about the track title: "OK, to clear up things right away The Speed Of Snow is a song about the winter season OR drug addiction... cause I want to agree to disagree ;-) ...whatever." In June 2009 the US label Ricochet Dream released a limited edition of a three track EP of the same name, featuring two additional, previously unreleased tracks. The Cybersounds Shop about the CD release: "Originally, it was not supposed to happen that our free download goodie should find it's way on a regular CD release. Then, out of the blue a small label from USA asked us for a license and due to the fact that it's been quite a while since Jerome's latest release came out we quickly found a solution: The EP got expanded to a total of three tracks [...] Only a small amount of this 1000 copies ltd. CD has reached our shop. Expect to get some real first-rate guitartronica music from Jerome!! For the sake of fairness the title track (mp3) will be still downloadable for free at our shop."